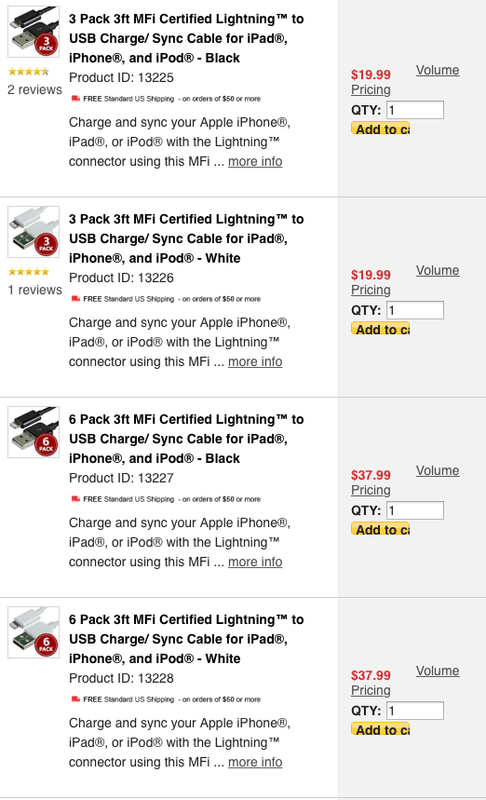 We’ve been swimming in MFi Lightning cable deals over the past few weeks. Amazon typically has the best prices, but free shipping only applies to Prime members and orders of $35. Monoprice consistently has low prices, but shipping usually kills any exceptional deals. However, Monoprice now has a range of discounted Lightning cable bundles, all of which include free shipping. There are some similarly priced deals on Amazon, but those cable makers aren’t as highly regarded as Monoprice. That being said, now’s the time to stock up on Lightning cables — get one for your car, office, bedroom, family room, etc.